When I was a child, my father, who was Head of Structures for Sikorsky Aircraft, used to take some interesting business trips. When he would return, he always brought me trinkets, usually little gadgets from the vendors during conferences, and he would tell us all about his experiences. I would ply him with questions, especially about the city he visited, and he was delighted I took such an interest in his work. Little did he know that Monday morning at school I would tell my classmates about the fabulous trip I took with my daddy. The other children thought I was so lucky to have seen the Gateway Arch in St. Louis or heard the hot Dixieland jazz at Preservation Hall in New Orleans. They were awed by my telling of my visit to Yucca Flats, Nevada, where I witnessed a nuclear test during Operation Plumbbob. Since my audience was just dumb little kids like me, they never questioned my veracity and the implausibility of my doing so much and going so far away in a weekend. I gave such convincing details, had physical evidence in the form of souvenirs, and could answer every question posed to me. Unfortunately, it didn’t occur to me that my classmates were so impressed, they shared my adventures with the teacher. It’s one thing to lie to other kids, but it gets scary if that lie is passed on to a grown-up. When my teacher asked me about my excursions, I felt I had no choice but to perpetuate the lie. She’d give me a skeptical look, but she never came out and said I must be fibbing. Fast forward to the end of the school year when the teacher decided to have an Open House to show off our work to our parents. Terrified that I would be found out, I told my parents that the Open House was no big deal; they really didn’t need to take time out of their busy schedules to come. They insisted that it was no trouble; I was worth it. On the way home, I was silent in the car, waiting for the reprimand. With a big grin, my dad, looking back at me in the rear view mirror, simply said, “Never lie unless you have a perfect memory.” My father was not one for lecturing. He felt life taught us the lesson well enough. And he was right. Never again did I want to feel that terrible anxiety of having to keep up those lies or feel the fear of being discovered. As I watched the Republican debates last night, it was quite entertaining to hear the candidates claim they had the best record on job creation and, if elected, would get America back to work on the first day in office. During the coming months, they will make promises all over the place. The words of my father come back to me, “Don’t lie unless you have a perfect memory.” We’re not dumb little kids anymore. 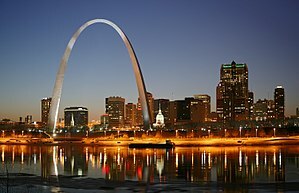 This entry was posted in Just Blogging and tagged children, family, Gateway Arch, home, humor, lessons, life, lying, memories, New Orleans, parenting, personal, politics, Preservation Hall, Republican Debates, school, Sikorsky Aircraft, St. Louis Missouri. Bookmark the permalink. I like your take on it, Angelia. It was just my active imagination, not outright lies. LOL! What a great, great dad. I love the way you tied this in to the debate and most especially enjoyed your ending punchline. Great job! Thanks, Kelly. My dad was such a great dad. This coming election “season” certainly will be something to watch! I loved this post, so well written, I felt like I was right there with you, feeling that sinking anxiety. What a wise man your father was, Excellent advice. My dad was similar. He was honest to the core. I had a paper route and was picking up my papers at the local store and absentmindedly ate two tootsie rolls while talking to a friend. I didn’t pay for them, went home and felt terrible shame. I told my dad and he gently told me to march back down to the store and put two pennies up on the counter to pay for them and so I did, head hanging low. I will never forget that lesson. What a wonderful dad you had, too, Darla. Thank you for your sweet comment. Why Susan, you clever little imp! Your creative story telling is serving you well now. I remember when my kids did something creative, but wrong, and I struggled between reprimanding them for their wrong and congratulating them for their creativity. Sounds like your dad hit just the right balance. Thanks, HG. I never thought of myself as a clever little imp, but I rather like the epithet! Yes, I had a terrific dad. I loved your story. It was so well written as I followed it to the outcome and further into the comments you and others left. Like the wildfires in TX I wrote about yesterday, lying is every where. Thank you, Georgette. I need to stop by and read your post. We’ve been keeping tabs on those fires, especially since Texas is so dear to us. I certainly hope out political “leaders” were listening and will not lie, but that seems unlikely given what we have seen so far. I do not remember the guy’s name but when caught in a lie–like 90% of planned parenthood budget went to abortions–his staff said he did not lie, he just did not intend that detail to be considered as fact, he said it for effect. OMG! I want to vote for you and the other bloggers! Great post, Susan! I went up in that arch when I was around 9 or 10. Scared the living daylights out of me, but I’m claustrophobic AND afraid of heights… a double whammy. When I recall the visit at the top, I can still feel the swaying. Thanks for the memory! Yes, um…I felt that same way when I went up there with my dad that weekend he had his conference, D of ND. LOL! Once again I love your story! I was nervous reading it and wondering what kind of trouble you would get into, but your dad was a very nice man, and wise, too. You learned it yourself without him “lecturing” you. Great story! My heart was pounding, when I was reading you were in the car with your dad… Kids can learn quickly. Will politicians ever learn? That “first day in office” was LOL. I agree, “Don’t lie unless …” and “We’re not dumb little kids anymore” are the messages we need to send to them and remind ourselves. Thank you, Susan! Oh, I almost forgot again. Thank you so, so much for taking time to visit my 7 links. I was (am still) flattered by your visits. It made me very happy! Why Amy, you are the one who made me very happy when I got to read your wonderful posts. And thank you for this comment! Your comment made me smile, Mama. Actually, it made me laugh! Yes, my dad was such a good dad. Wonderful story and lesson learned. And food for thought! Thanks, Winsomebella. We will have a lot to think about this election year, won’t we? Excellent advice for everyone. I’m looking forward to how the American public responds to what is happening in the USA today. I don’t see how you can keep going down the path you are now. For better or worse, our recent Canadian election gave the Conservatives a clear majority so that it can get busy and do things without trying to appease all the factions. One of the biggest roadblocks to getting things fixed is that neither party will work with each other. I don’t know what has to happen before that changes. Thanks, Margie.